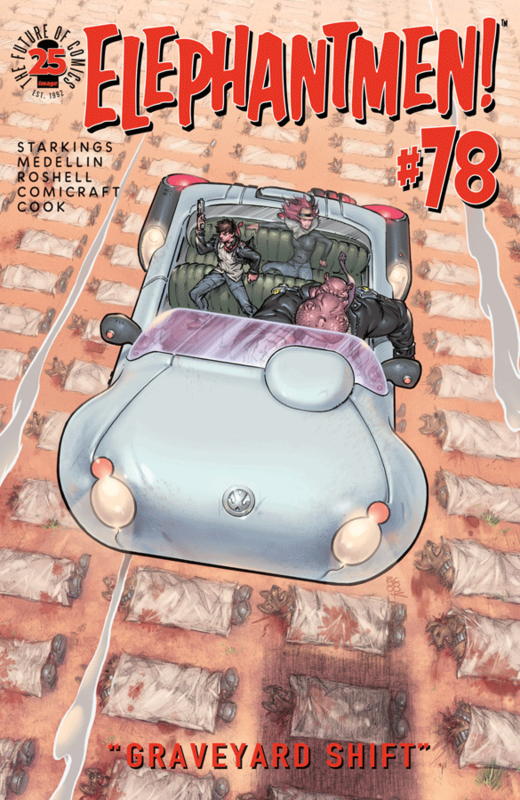 This week Image have Elephantmen #78 on the shelves, there series is going to be coming to an end with #80 and it’s regained the attention of a lot of old fans who want to see how Richard Starkings wraps up his sci-fi series. If you’ve not read Elephentmen before I’d highly recommend it to anyone. It’s like Teenage Mutant Ninja Turtles meets Blade Runner, who’s not going to love that combo.